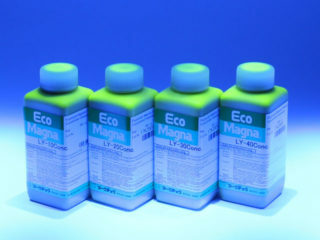 MARKTEC’s concentrated, magnetic particle suspension product, ECO-Magna LY-Conc. Series, is now available. These eco-friendly and and easy-to-use magnetic particle suspension density levels are adjustable and dependable, thereby requiring less effort and handling time. *1 Fluorescence is indicated as a relative value compared to standard benchmark product. MARKTEC’s black lights are incredibly effective for fluorescent penetrant flaw inspection (FPI), magnetic particle inspection (MPI), organic matter inspection, as well as detecting for oil leaks, skin-flakes, fish bones, rag fibers, fluorescent coating materials, as well as many others. MARKTEC’s Black Light provides excellent visibility for defects or contamination on smooth or wet surfaces. 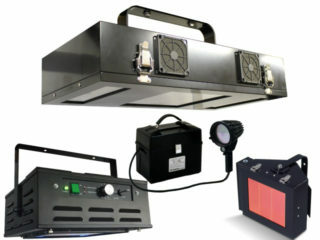 Compare our selection of high-performing black lights in the table below.